The showroom at Statum Designs is a playground for me. Oh, the eye candy! With hundreds of fabrics and furnishing styles, I could spend a whole day there, just reclining on various sofas and gazing longingly at all the latest textiles. Distinctive interiors begin with distinctive pieces, and Statum’s designs are, frankly, gorgeous. From low mid-century modern sofas to whimsical accent chairs, urban geometrics to plush velvets, it’s impossible not to fall in love with everything. Statum Designs is a Canadian furniture manufacturer with a solid 30-year history and a foothold in the future. 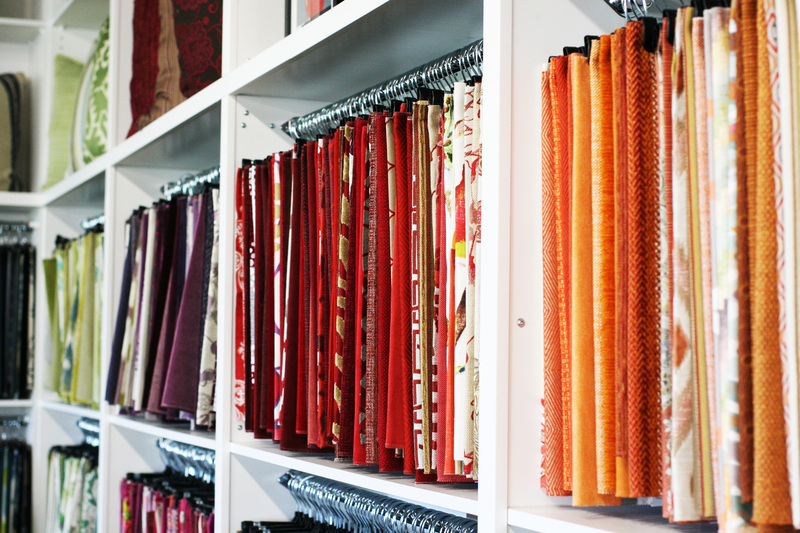 With an on-site manufacturing facility and impressive showroom, their upholstered products and textile selection (Kravet, JF Fabrics, Maxwell, and Robert Allen, just to name a few) will take your home or office from zero to magazine-ready in the blink of a dazzled eye. Whether classic and cushy or trendy and tailored, their selection is a homeowner – and decorator’s – dream. Statum’s furnishings appeal to anyone looking for truly beautiful upholstered pieces of superior quality and construction. And as any great design company knows, scale is everything, so products range from full-size sectionals and sofas to condo and apartment-size seating. In addition to their own imaginative designs, Statum also manufactures the Jane Lockhart line of furnishings (“Jane”) with its own distinct colours and features. 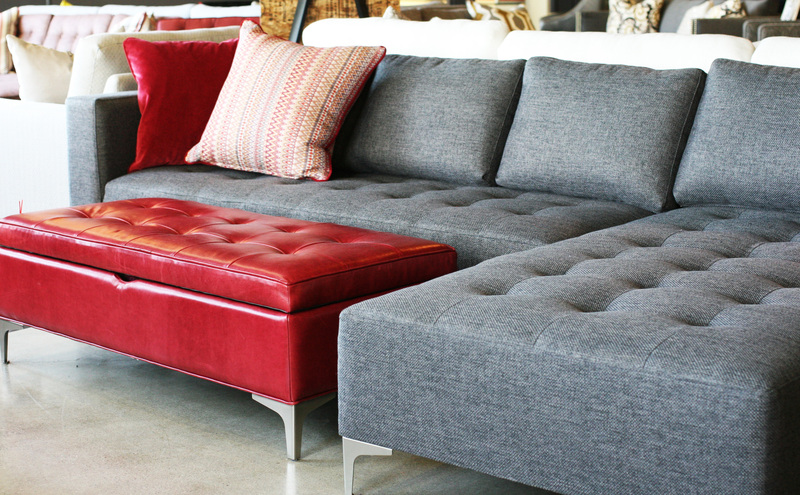 Gardener sectional in grey with chrome legs and corresponding ottoman in ruby leather. Look at that colour! It makes me want to bite into that ottoman like an apple… but I won’t. 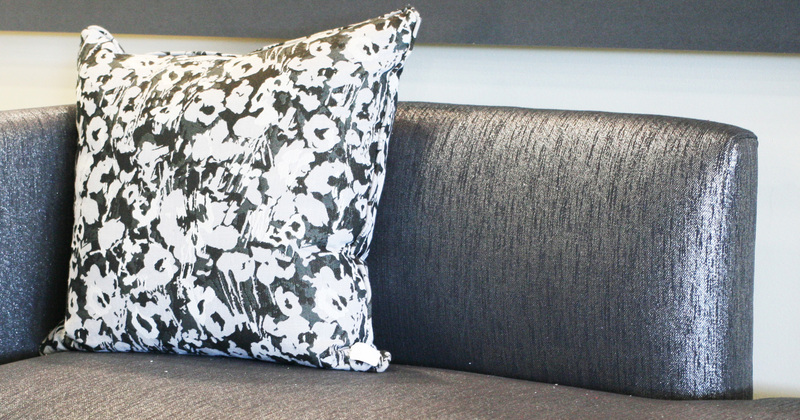 The Weston chaise with floral and dotted throw pillows, and black & white Penny Pouf. Love the combination of patterns. Statum’s showroom manager recently bought a house built in 1959. 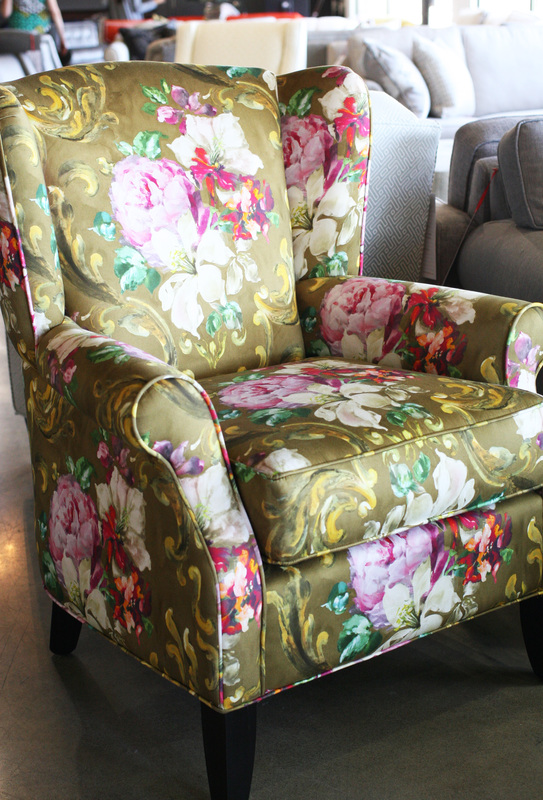 A couple of ’60s-era accent chairs had been left in it, so she brought them to Statum for reupholstery. Statum created a new chair based on the original design and named it after her. The result? 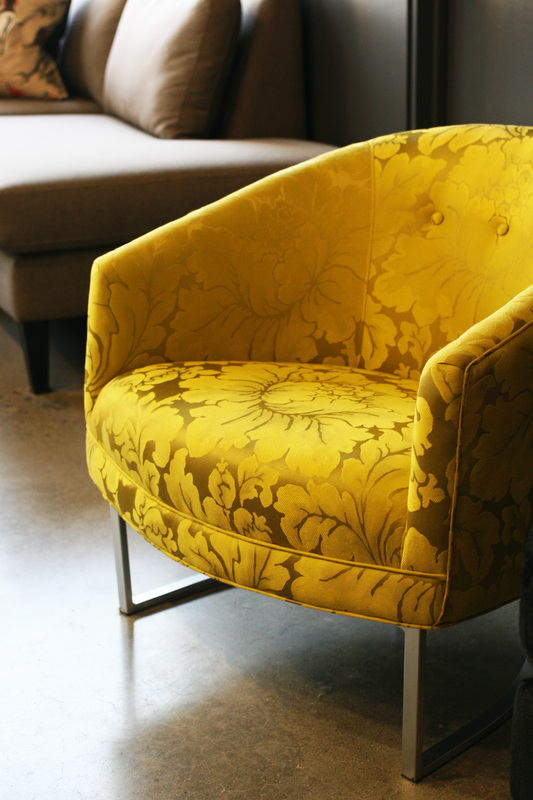 Pure gorgeousness that is right on trend: the mid-century Michelle chair. 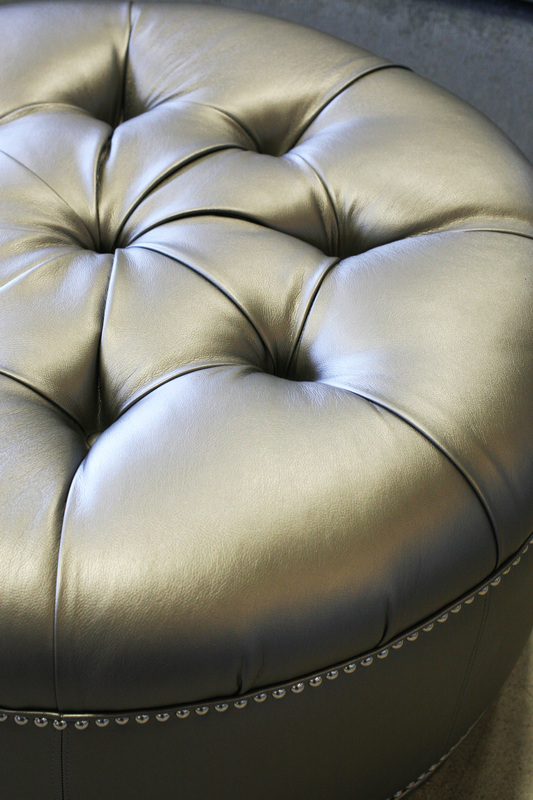 One of my favourites… the Harlow ottoman in metallic leather with nailhead detailing, by Jane Lockhart. 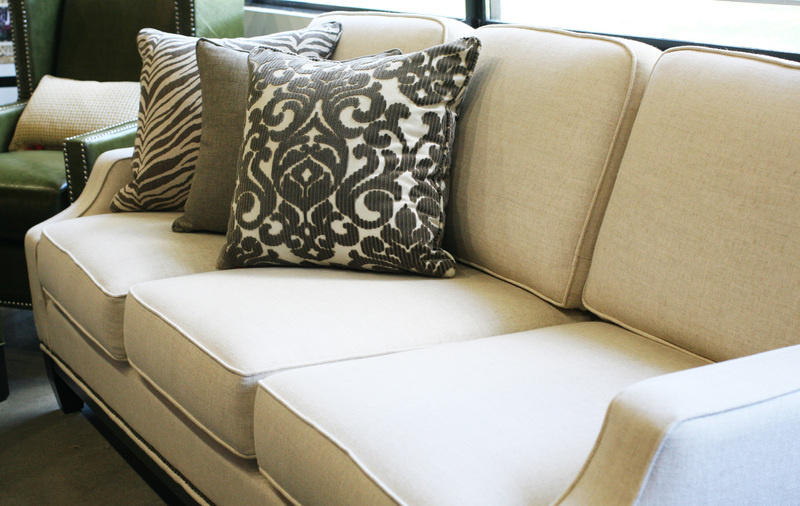 Sofa style 2114 with throw pillows in animal print, solid, and damask. Basically, the Gwyneth Paltrow of sofas. 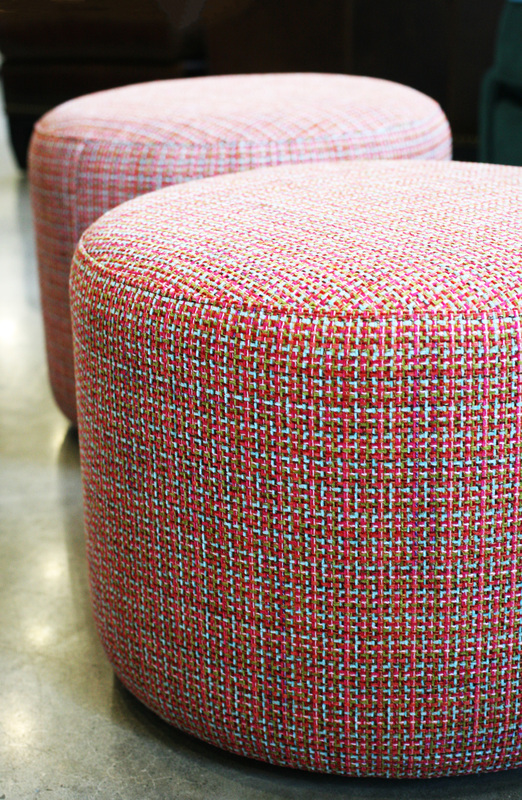 Penny Poufs in candy-colored tweed. 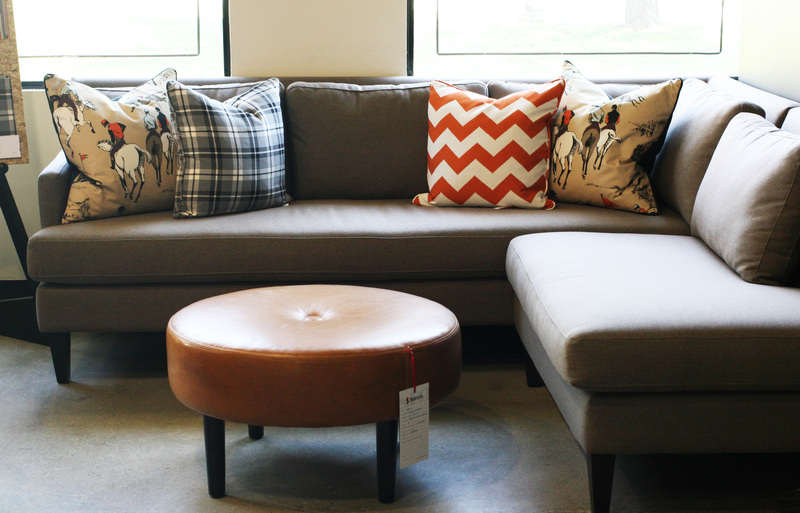 These versatile charmers are twin ottomans and can be used as additional seating when entertaining. Win-win. The Sutherland welted sofa, by Jane Lockhart. 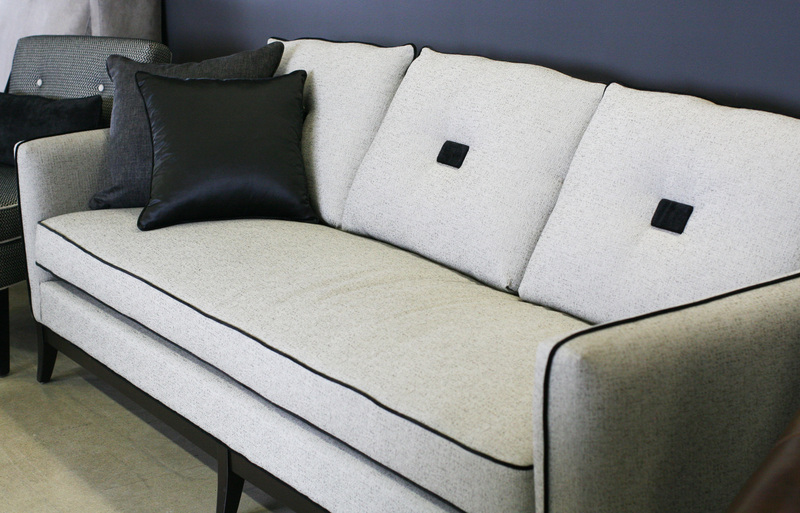 Love the square cushion details. 1) Geometric patterns and bursts of juicy colour. 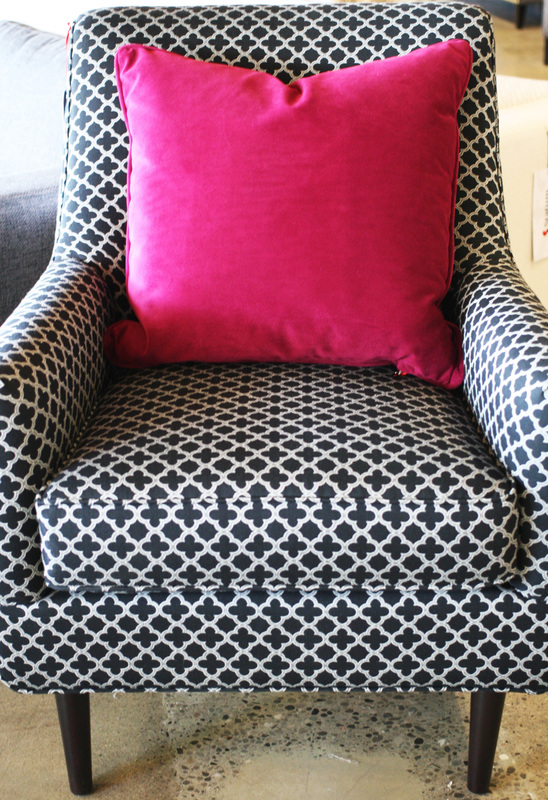 The Elsa wing chair in quatrefoil fabric with raspberry accent pillow. 2) Mid-century-inspired modern shapes and colours. This huge trend has taken the design world by storm, with no sign of stopping. Hurricane Mad Men! 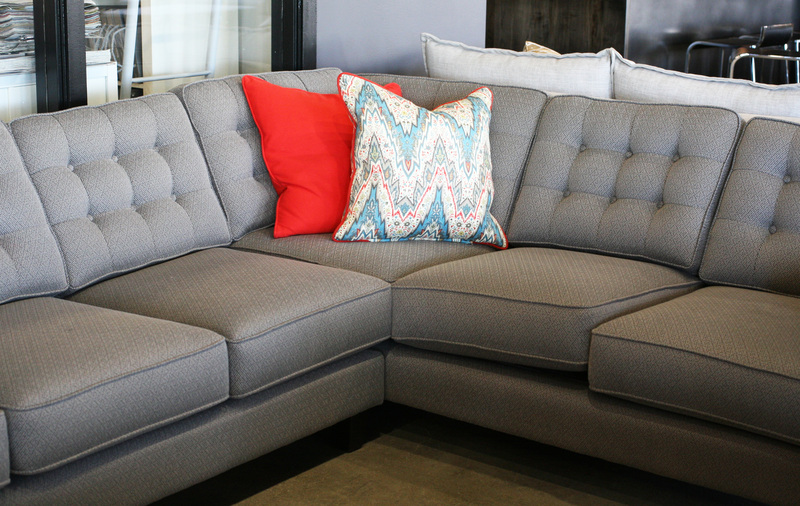 Style 2070 sectional with Simon ottoman. 3) Watercolour hues and prints. 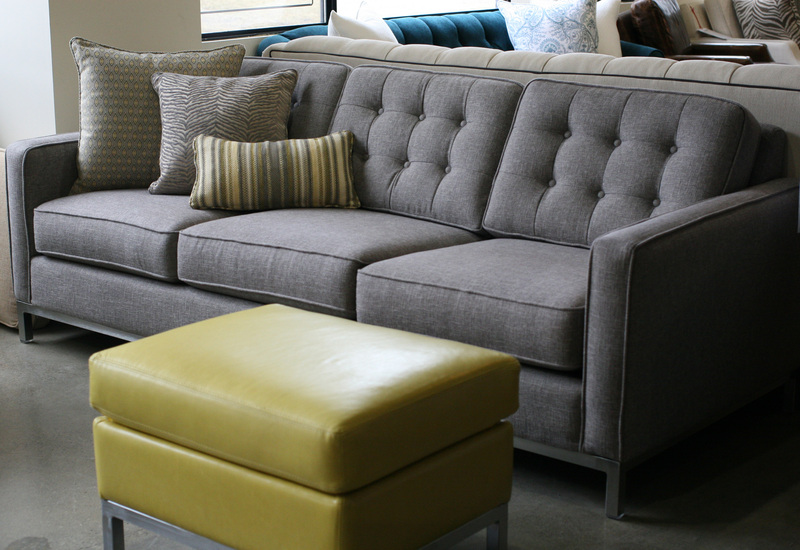 Condo-size tufted Josh sofa with accent pillows and citron leather ottoman. 5) Pattern: traditional and urban designs. 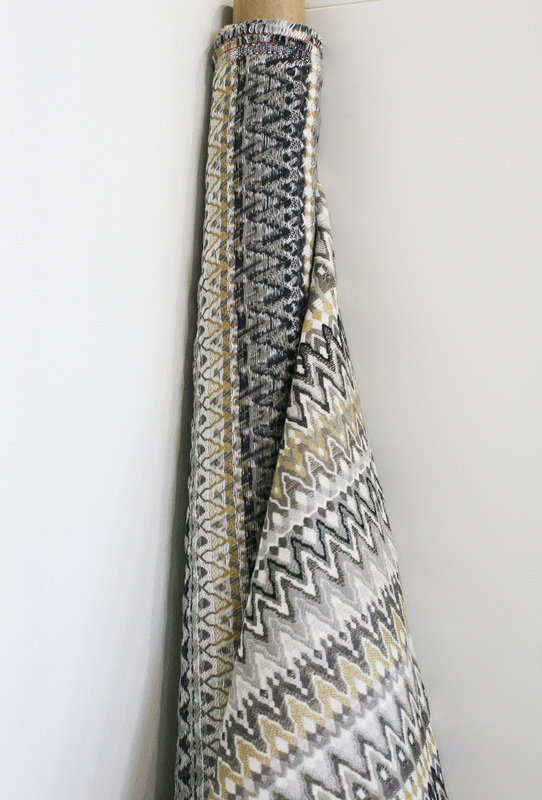 Chevron and chevron-esque styles, ikat, and watercolour fabrics currently represent some of the biggest trends in textile, while paisleys, damask, and florals never wane in popularity. To further demonstrate the power of pattern, Statum Designs has generously provided Hearth & Gable with a pair of custom accent pillows as a giveaway for one of our lucky followers! (Retail value: $500.) Please visit our Hearth & Gable Interiors Facebook page here for information on how to enter the draw. For more information on Statum Designs, please visit their website. And watch this space for an upcoming blog post and photo guide of their fabrication process! Nice choice! 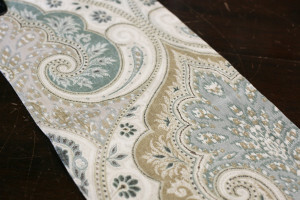 Paisley is an enduring classic design. One of my favorites, too! 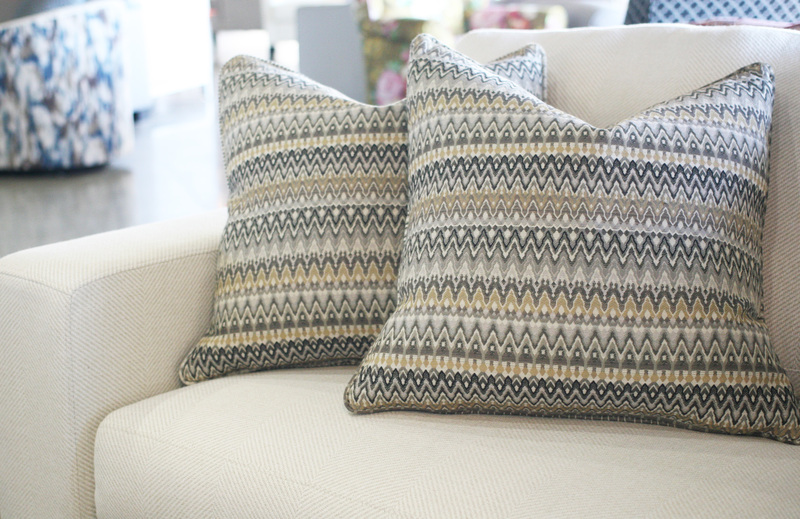 If you mean the zig-zag chevron-esque pillows… those are the ones we’re giving away! Good luck! I love the geometric patterns with bursts of juicy color. I feel like the geometric patterned chair in the photo would be pretty loud on its own, but adding a bright solid colored pillow totally breaks up the pattern so that it remains very eye catching, without overwhelming. The geometric patterns and bright colors go together so well and seem to allow for more creativity with accent colors that I personally wouldn’t normally use (like fuchsia!). Because of the repetitive nature of geometric pattern, I actually find them calming and very interesting at the same time. I also feel like there is also a lot of variation in geometric patterns (size, color, degree of eye-catchiness/boldness lol) , allowing the decorator to pick one and combine with a splash of color that truly suits their personality. Geometrics are fun to work with! Repeating shapes or pattern elsewhere in the space really adds visual interest, as well, from a decorating standpoint. 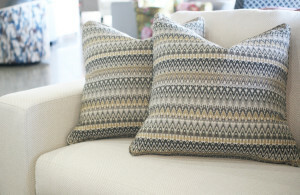 Love the zig zag throw pillows and all things grey! 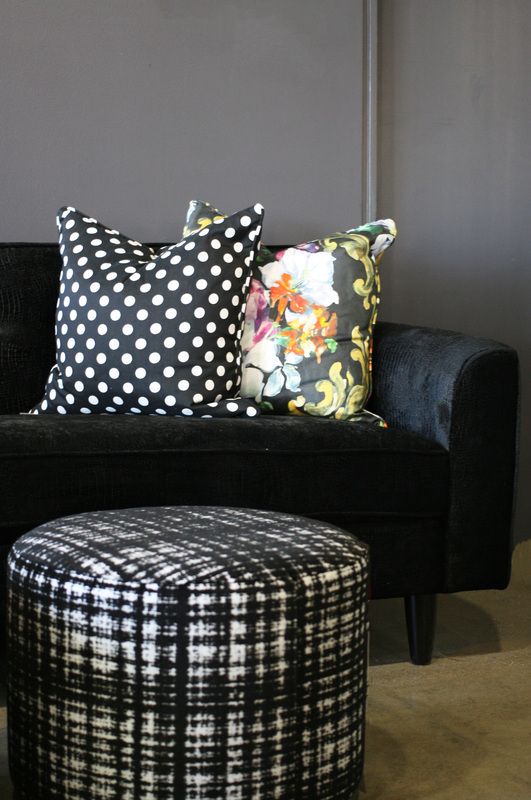 A pouf IS perfect as stand in seating when necessary. Just learning to work with colour as I lean towards earth tones mostly. Red has been a recent favourite of mine! 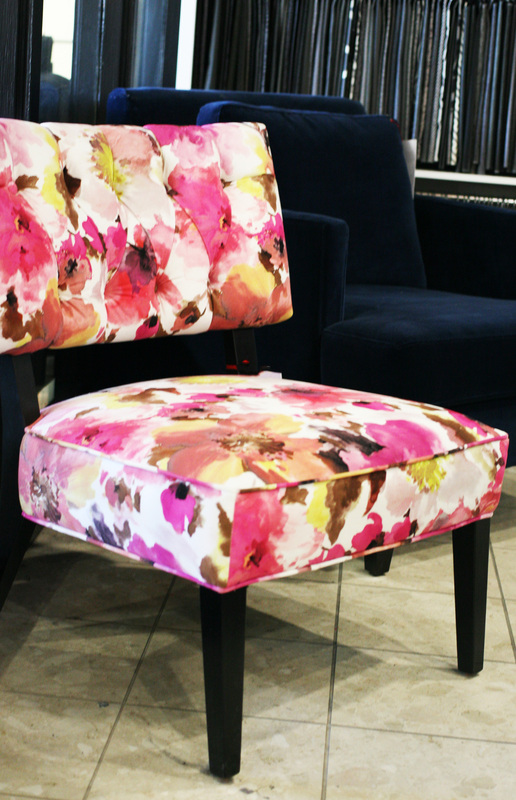 I am in love, Love, LOVE with the Natalie accent chair (Watercolour hues and prints). Guess that makes me a “girlie girl” but I’ve always loved floral prints; my favourite being roses. Here’s to being a girly-girl! 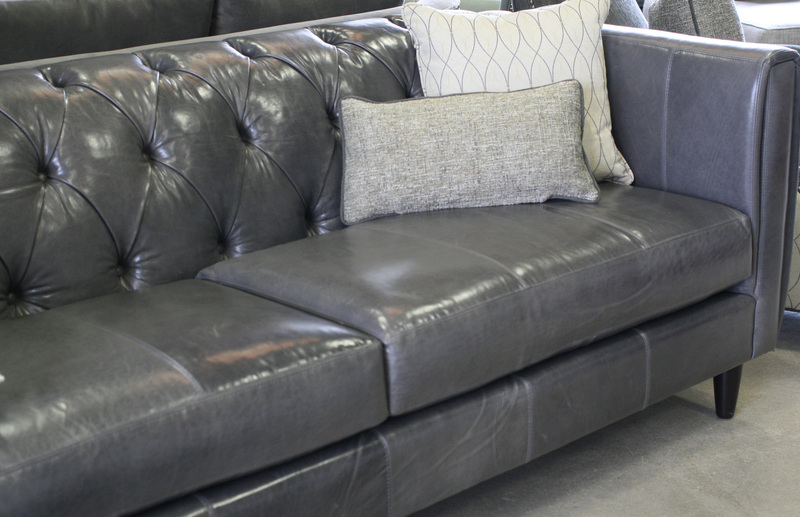 I have a soft spot for dark grey fabric so I think the Gardener sectional looks great. I also think ruby red is just about the best colour to go with it. I like the Sutherland sofa a lot too. I don’t know if it’s because single cushion sofas remind me of beds but that sofa is so soft-looking. I think ruby red is under-utilized in decorating!